The Kelowna Museums Society takes great care to preserve Kelowna’s history, but have you ever wondered about the history of the museums? The Kelowna Museums Society grew out of the Okanagan Historical and Natural History Society (OHNHS), which was formed in 1925. The OHNHS began collecting artifacts and displaying them in various downtown businesses. Many of the first artifacts in the collection were natural history specimens. By 1944, the Central Okanagan Boy Scouts Association began overseeing the exhibitions; the museum even became known as the Boy Scout Museum. Their enthusiasm for history led the group to find a temporary home in the loft of a barn until a permanent building was erected in Kelowna’s City Park in 1948. 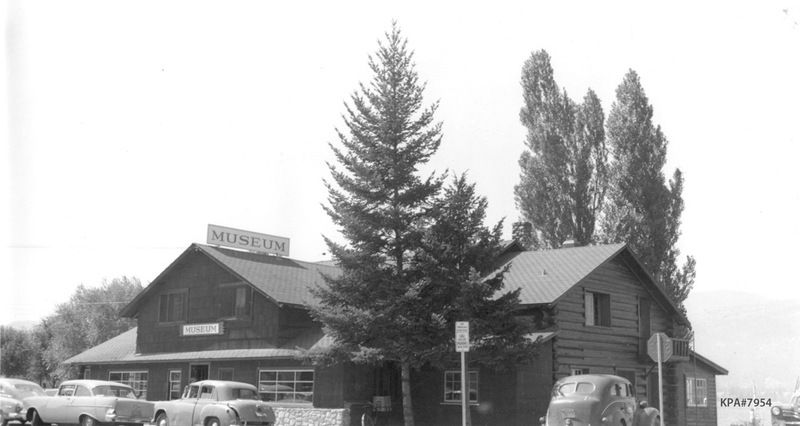 By 1951, the Okanagan Museum and Archives Association (OMAA) took over managing the museum. During this time, a new home was found on Bernard Avenue. The OMAA collected so many additional artifacts that they had to find a larger building to accommodate them. Once the OMAA secured funding, the City helped purchase and renovate the Willow Inn Lodge, which was located along the waterfront at Mill Street and Queensway Avenue. The official opening of the new location was held on June 15, 1958. Thanks to continued public support and more artifact donations, the OMAA quickly outgrew the Willow Inn Lodge. Board members and City staff found government funding to construct a new building specifically for the museum at the corner of Queensway Avenue and Ellis Street, the current site of the Okanagan Heritage Museum. What was then known as the Kelowna Centennial Museum officially opened on June 10, 1967 to excited crowds who were eager to see the new displays. At first, the building was just one floor. 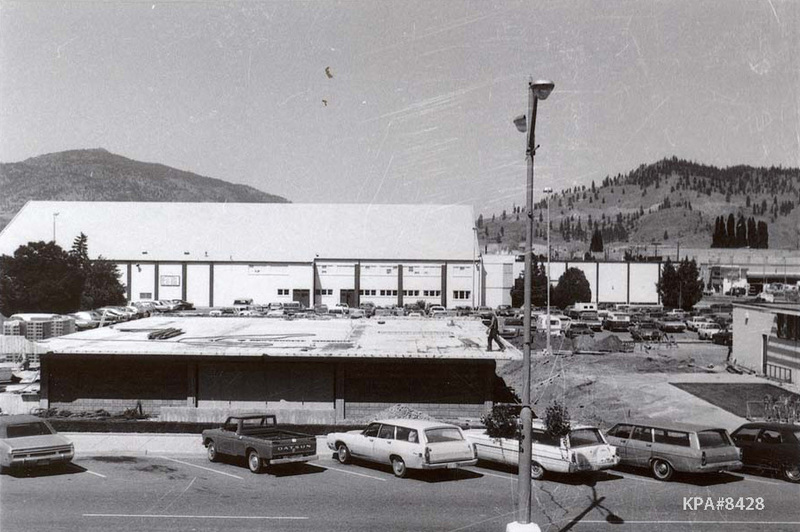 The second story was added in 1975 to accommodate new offices, storage and displays as well as the Kelowna Art Gallery. During the 1980s and 90s, new museums were created to showcase the fascinating history of the Okanagan’s orchard and wine industries. The beautiful Laurel Packinghouse was restored and designated one of the City of Kelowna’s first Heritage Sites. The B.C. Orchard Industry Museum opened in 1989 and the B.C. Wine Museum and VQA Wine Shop was inaugurated in 1996. In 1999, the Kelowna Art Gallery moved into their own dedicated building on Water Street. The past fifteen years have seen many changes at the Kelowna Museums, including name changes, new logos and the amalgamation of the Okanagan Military Museum (OMM). The Okanagan Military Museum Society’s board is still active and works with the Kelowna Museums Society in many aspects of the operation of the museum, which is in the lobby of the Memorial Arena, at the corner of Doyle Avenue and Ellis Street. In 2011, the OMM archives were named the Vince Bezeau Military Library and Archives in memoriam for a dedicated board member. Various renovations were undertaken at the Okanagan Heritage Museum in 2001 to make room for the Kelowna Public Archives and the Ursula Surtees Conservation Laboratory. In 2008, the Kelowna Museums Society incorporated a fifth museum, the Central Okanagan Sports Hall of Fame to recognize and commemorate those whose commitment to sports in our region continues to inspire all of us to do better in our sport, in our community and in our selves. Today, the Okanagan Heritage Museum is undergoing an exciting and extensive renovation of its exhibitions that will bring a new level of engagement with the public. We remain open throughout the renovations, so please come in and see the changes as we continue to preserve our history and tell new stories! To inspire a community to be alive with its history – connecting people and place. Since 1936 as a community interest and since 1951 as a registered society, the Kelowna Museums Society has provided the region’s residents and visitors with on-going interpretation of the Okanagan and beyond. To this end, the Society manages and maintains four diverse museums that serve as your Kelowna Museums. Located in the heart of Kelowna’s Cultural District, the Kelowna Museums offer a wide selection of exhibitions, public programs, and special events.